Our trip starts with a short stay in New Orleans, Louisiana before flying to Buenos Aires on February 18. After a quick look at Montevideo, Uruguay, we will spend the next couple of months travelling overland south through Patagonia before heading north to Santiago. From there we fly to Quito and work our way south through central Ecuador, along the Peruvian coast, then inland to Lake Titicaca and Bolivia. After touring the Cuzco area, we'll fly to Iquitos, Peru and travel down the Amazon to Manaus or Belem, Brazil. 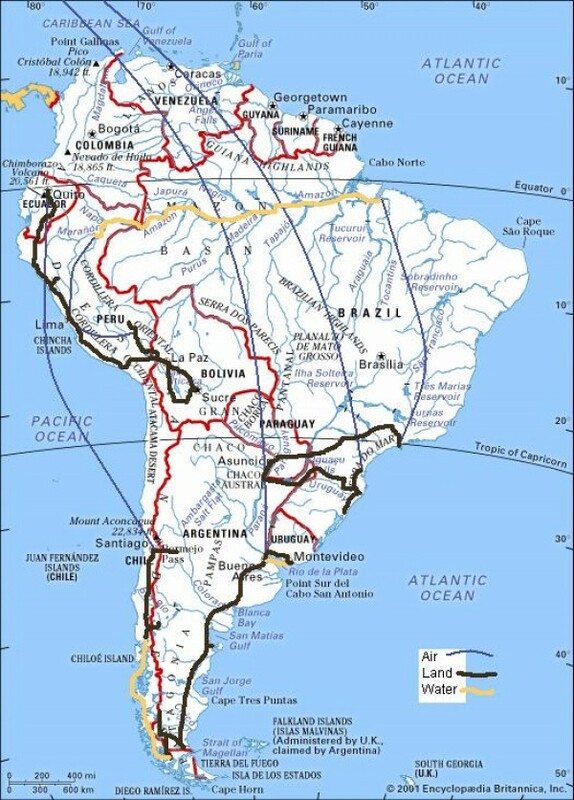 We'll fly Rio, then go overland throughout southern Brazil (maybe across Paraguay to Asuncion) and Iguassu before heading back to the US on August 10.